Leo Esaki was born in Osaka, in 1925. Esaki completed work for a B.S. in Physics in 1947 and received his Ph.D in 1959, both from the University of Tokyo. 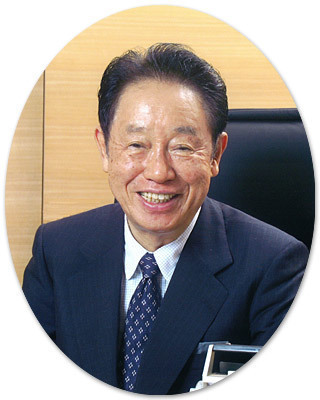 Esaki was an IBM Fellow and engaged in semiconductor research at the IBM Thomas J. Watson Research Center, Yorktown Heights, New York, from 1960 to 1992. Prior to joining IBM, he worked at the Sony Corp. where his research on heavily-doped Ge and Si resulted in the discovery of the Esaki tunnel diode; this device constitutes the first quantum electron device. Since 1969, Esaki had, with his colleagues, pioneered semiconductor superlattices and resonant tunneling, exploring a new quantum regime in the frontier of semiconductor physics. The Nobel Prize in Physics　(1973) was awarded in recognition of his pioneering work on electron tunneling in solids. Other awards include the Nishina Memorial Award(1959), the Asahi Press Award(1960), the Toyo Rayon Foundation Award for the Promotion of Science and Technology(1960), the Morris N. Liebmann Memorial Prize from IRE(1961), the Stuart Ballantine Medal from the Franklin Institute(1961), the Japan Academy Award(1965), the Order of Culture from the Japanese Government(1974), the American Physical Society International Prize for New Materials(1985), the IEEE Medal of Honor(1991), the Japan Prize(1998) and also the Grand Cordon of the Order of the Rising Sun, First Class from the Japanese Government(1998). After returning to Japan, he assumed the position of President, University of Tsukuba from 1992 to 1998, President, Shibaura Institute of Technology from 2000 to 2005 and President, Yokohama College of Pharmacy from 2006.